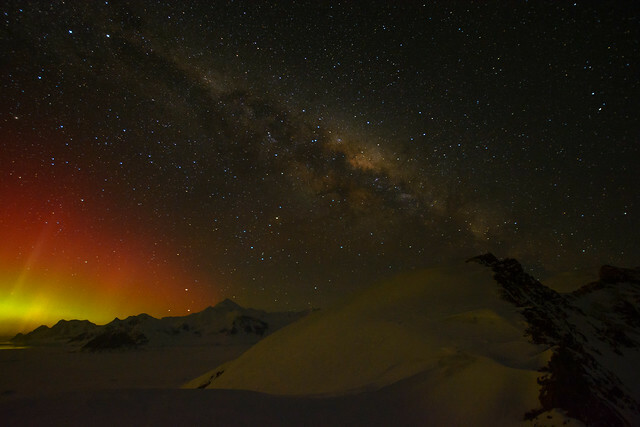 One of my biggest aspirations in coming to Antarctica was to see the Southern Lights – the aurora australis. The transient, ethereal nature of the aurora has fascinated me since first learning of them during childhood visits to Norway. Aurora are relatively uncommon at Rothera, due to its location at 67ºS on the Antarctic Peninsula, which is usually outside the auroral oval.1 The southern geomagnetic pole, which forms the centre of the oval, is in East Antarctica near Vostok Station, about 3,500km away. This is one of the reasons for Halley’s location on the Brunt Ice Shelf – it sits directly under the usual auroral oval, and is ideally situated for atmospheric and space weather research. A recent coronal mass ejection on the 25th August caused a minor geomagnetic storm when it hit the Earth’s magnetosphere a few days later, causing energetic aurora that extended further towards the equator in both hemispheres. During the 27-29th August, we had a rare high pressure system overhead with clear moonless skies, and so a group of us took advantage of this happy coincidence and spent a few nights bivouacking2 out under the stars to capture this stunning display on camera. The southern lights shines down onto Reptile Ridge. 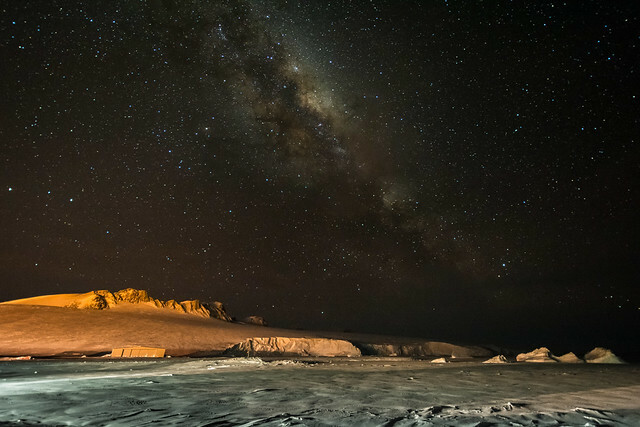 The Milky Way shines above North Cove at Rothera. Dark clear skies above us tonight mean some stargazing is in order. Last Thursday saw a rare evening of calm, crisp conditions; a stark contrast from the recent weeks of frequent gales and depressions that have been norm. 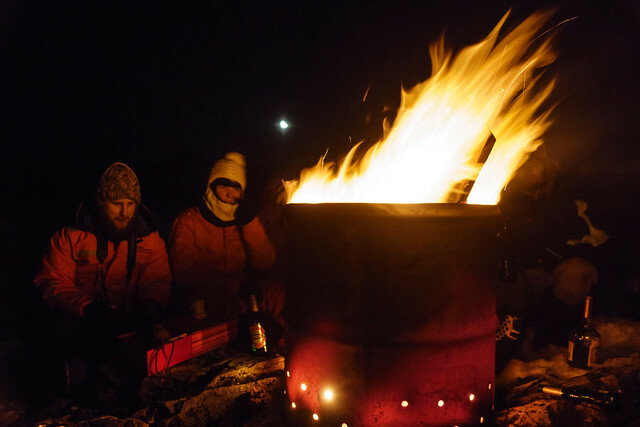 We took this opportunity to spend the evening up at the Cross1, gathered round an impromptu fire pit, created from an old fuel drum.2 Despite the -15ºC temperatures, it was a pleasant evening sitting under the stars, sharing a wee dram whiskey in the company of good friends. Four of us elected to bivouac out overnight . This gave me the opportunity to finally take a timelapse of the night sky – the weather having foiled a couple of earlier attempts. 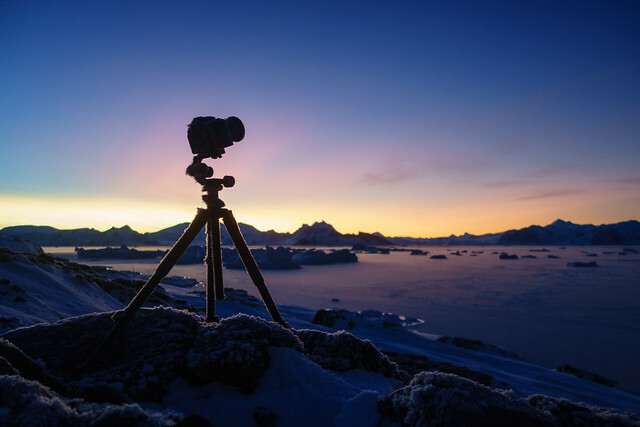 As I’ve discovered, timelapses are definitely a labour of love, especially as cameras are temperamental beasts in the cold. 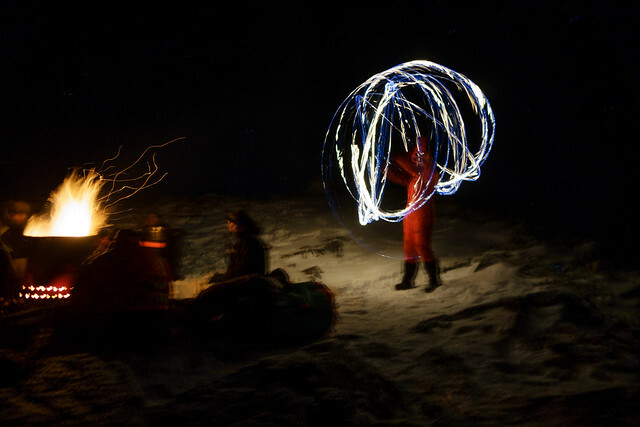 Batteries typically need changing every two hours, and one keeps spares warm by storing them in one’s sleeping bag. Contrary to general opinion, bivouacking is a pretty comfortable experience, especially given BAS’ sleeping system: rollmat, Thermarest, sheepskin, bivi bag, and down sleeping bag. The hardest part is convincing yourself to get out of it into the cold morning air when the sun comes up. Plus, on a clear night, it’s hard not to feel slightly in awe as you gaze up into the myriad of stars shining their cold light down upon you. 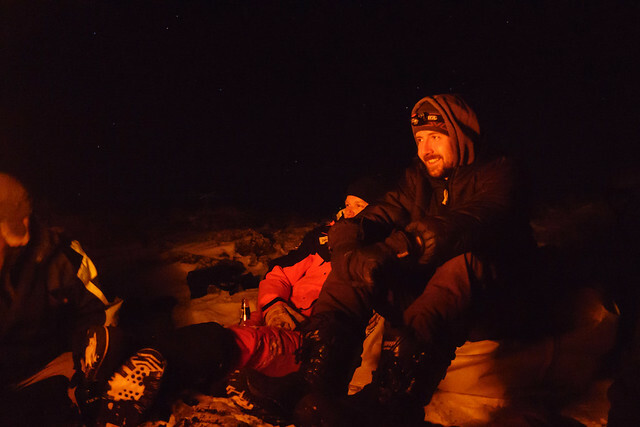 When we left base in our RIB it was still snowing and it took us quite a while to push through the pancake ice but we finally got to Site 1. The fast ice edge was just where we wanted to sample which was good as it was slightly too windy and we would have drifted quite a lot. However, we found a little bay and were able to throw an anchor onto the ice to stop us from drifting. During the 2 ½ hours we were out there, the weather cleared up and it turned into a quite beautiful day. The Austral winter solstice on 21st June was not only Midwinter’s Day, but also Ocean Sampling Day (OSD): a simultaneous sampling of the world’s oceans at 167 different sites around the globe. These water samples, taken at identical times, will provide insights into fundamental rules describing microbial diversity and function – the tiny organisms in the sea upon which all other marine life depends. 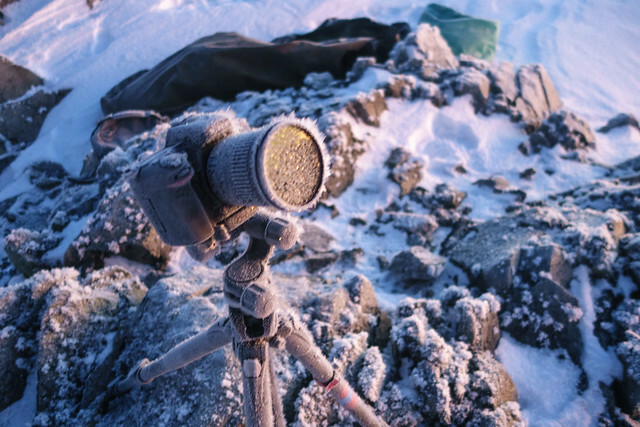 Sabrina Heiser, one of our friendly local marine biologists, organised Rothera’s participation in OSD and took a camera along1.